Waste Containers - Easy Haul, Inc. 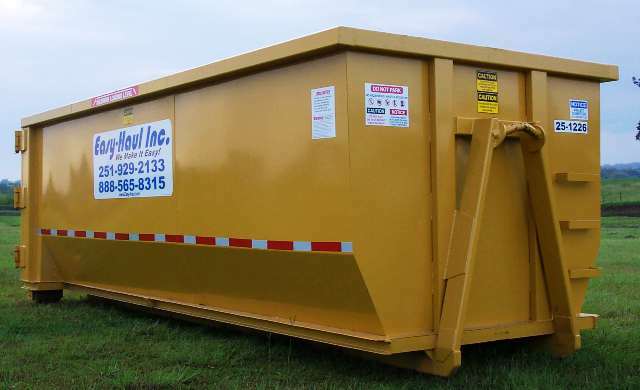 Typically our roll off waste containers / dumpsters are offered on a per dump basis with no fuel surcharges, rental fees, per ton fees or any other hidden charges. If a container is to be used on an extended basis without dumping at least every 30 days, a modest inactivity fee will be arranged. Billing accounts can established for repeat customers upon completion of our short Credit Application. Concrete and dirt require pre-arranged pricing and containers (details). Certain materials are not acceptable (click here for details).